Professor Saburo Kobayashi holds an MS in Mechanical Engineering from the University of California, Berkeley, and a B.Eng. in Mechanical Engineering from Waseda University. He is a lecturer at Hitotsubashi ICS. 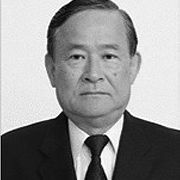 Professor Kobayashi was a General Manager in the Corporate Planning Division at Honda Motor Company until 2005. For 16 years of his 34-year tenure, he conducted research on the airbag. All of his associates except the founder, Mr. Soichiro Honda, and a few executives, were against the airbag; therefore, the research was very difficult to undertake and sustain. Subsequently, Honda became the first Japanese auto-manufacturer to place the airbag on the market. Professor Kobayashi also served as Vice President and Executive Chief Engineer at Honda R&D America for almost eight years. Based on his direct experience with long-term research on the airbag at Honda Motor Company, Professor Kobayashi conducts research, leads training programs, and gives lectures in the following areas: (a) the management of creativity and innovation (innovative research), (b) the development of a corporate cultural climate that reinforces creativity and innovation, (c) the education of high-quality employees in order to develop the kind of motivation that increases productivity, and (d) the strategic planning of future value creation through Y-gaya (complete essential discussion).